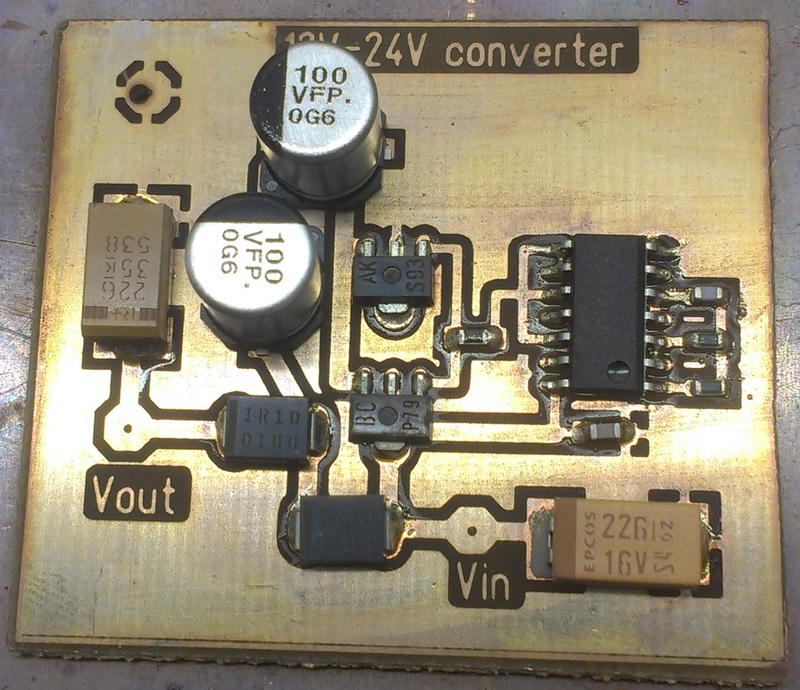 to drive for example a 24-28V DC Coaxial Relay from a 13,8V supply usually found in SHF transverters. 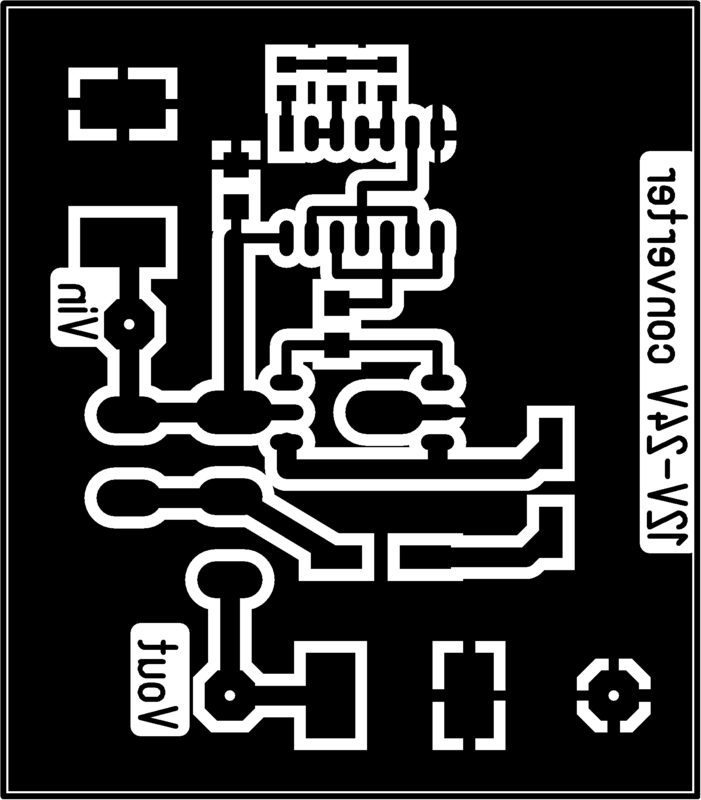 The circuit was found on one of the the webpages of DL6NCI and was originally made by DK2DB. 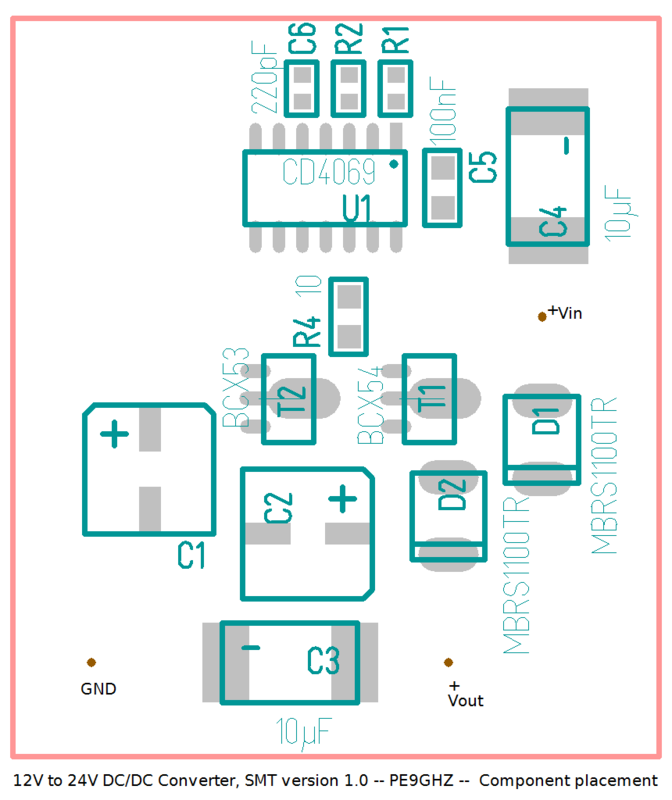 I've designed a new Printed Circuit Board incorporating only SMT components. 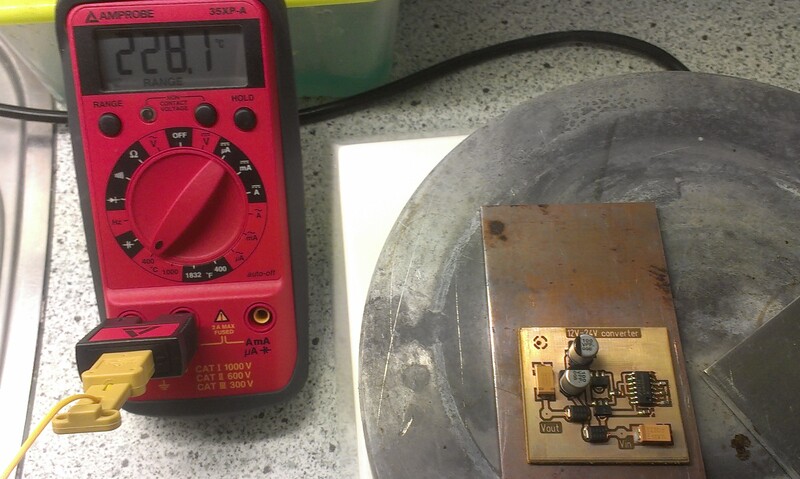 It was also a test for trying the process of Reflow Soldering on a Hot Plate. Here are the schematics, the board layout (artwork) and component placement drawings (made in Target 3001). Note: By right-clicking on the images you can view/download them in full-resolution. 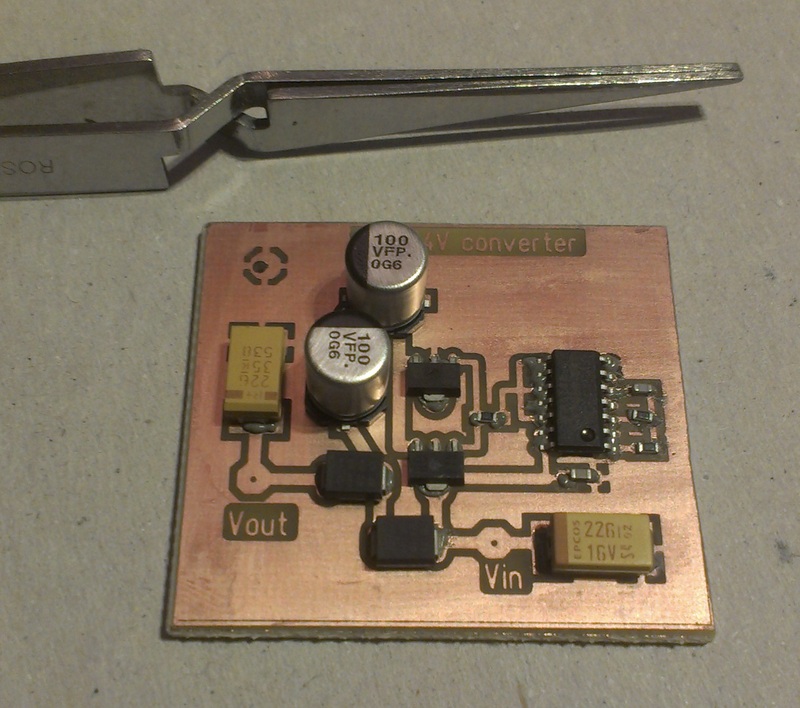 Input voltage: 12,2V DC (from a somewhat flat dry-gel 12V battery). Below are some pictures of the reflow soldering process, from applying solder paste to the PC Board to completed reflowing. 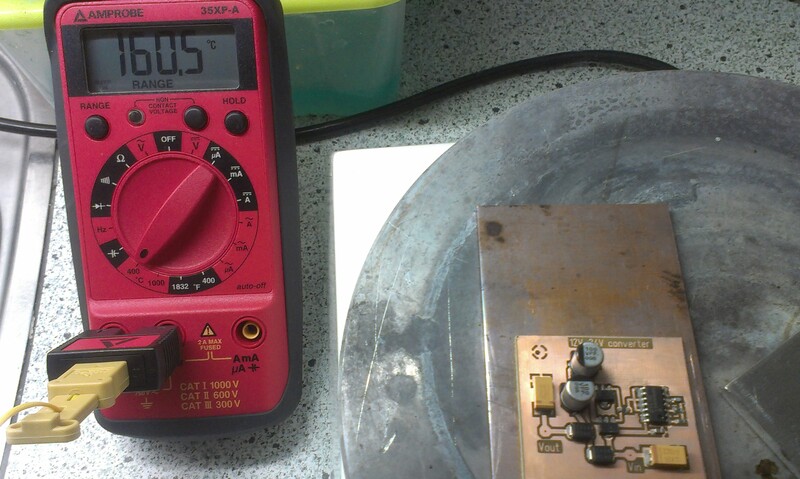 Afterwards, only the bigger Electrolytic Capacitors C1 and C2 (100uF 35V SMT) had to be hand-soldered to the board because they came loose as the solder paste hadn't yet melted. There was one short between pins 9 and 10 of U1 (CD4069) that could be easily fixed by using desoldering wick. Solder paste applied to all pads. 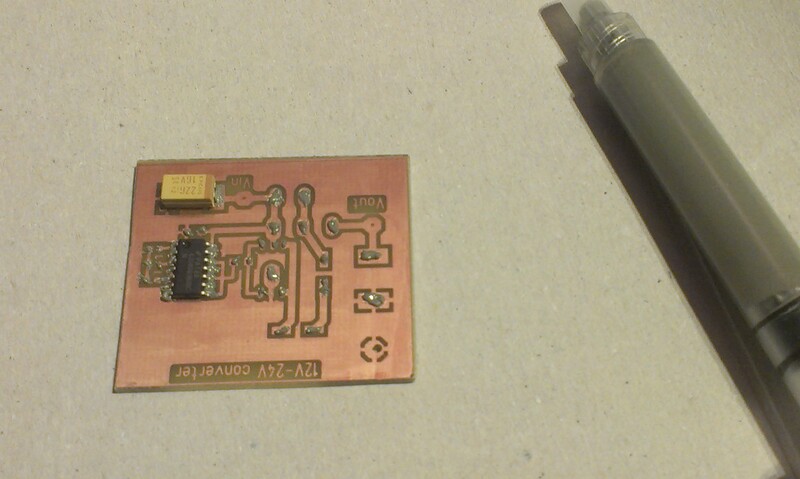 All components placed on solder paste.